Pan Am approached several companies with a request for a large flying boat to augment their existing fleet of Sikorsky S-42s and Martin M-130s. The requirements specified an aircraft with enormous range, but still capable of carrying up to 80 passengers in luxurious accommodation. 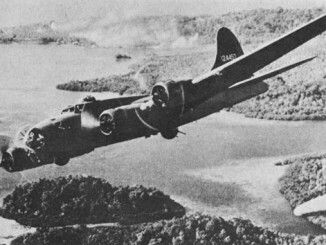 Boeing produced a design with several design elements taken from the prototype XB-15 bomber, which had been designed and built by Boeing engineers but not ordered into production by the Army. In July 1936 the Boeing bid was announced as successful, and a contract was signed for six aircraft. The XB-15’s enormous wing was modified for use on the 314, and fitted with much more powerful engines to provide the thrust required by the flying boat. As in the XB-15, crawlspaces were provided so that maintenance could be conducted on the engines whilst in flight. The 314, like the M-130, featured sponsons which stabilised the aircraft on the water and provided a convenient platform for passengers to enter the cabin whilst eliminating the need for wing floats. The first prototype 314 had a single tail, which did not provide enough directional control, so it was modified to have a twin tail configuration. Directional instability was still a problem, so the final change was to combine the two ideas, which resulted in a distinctive triple tail. The first trans-Pacific flight of the new 314 took place in February 1939, with scheduled passenger and airmail flights beginning the following month. Transatlantic flights from Southampton to New York via Ireland, Newfoundland and New Brunswick were also inaugurated, as Pan Am finally managed to break into that lucrative market. Six more 314s were ordered and built to an improved design with more powerful engines and additional fuel tankage, but three of these were sold to the British Overseas Airways Corporation to replace several Short S.23s, which had been requisitioned into military service. 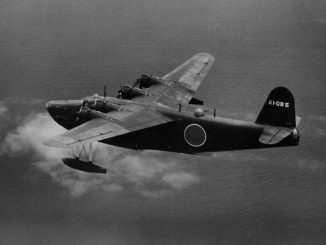 One 314 was en route from Honolulu to Auckland via Canton, Fiji and New Caledonia when the Japanese struck at Pearl Harbor. On arrival in New Zealand, the crew was ordered to fly westbound to LaGuardia Field in New York. 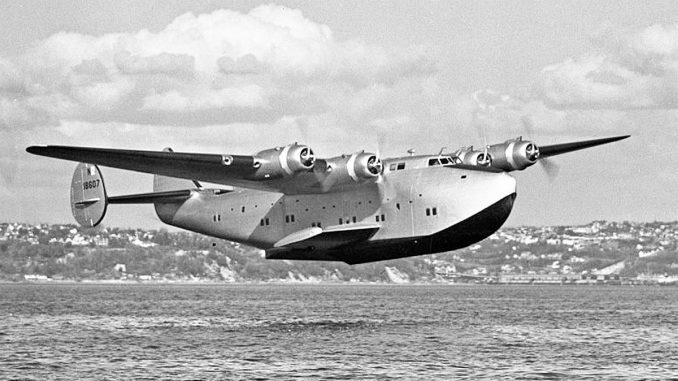 Flying over uncharted routes, the California Clipper made stops in Australia, the Netherlands East Indies, Ceylon, the Persian Gulf, Africa and South America before finally arriving at New York after an epic 4-week flight on 6th January 1942. With the war underway, all of the 314s were drafted into military service under designation of C-98. No Army pilots had the experience to pilot the huge flying boats, so the original Pan Am crews were retained under contract to the military. They were often used as VIP transports – Winston Churchill returned from the Arcadia conference aboard a BOAC 314, during which flight the aircraft went off course and strayed close to occupied France. German interceptors were dispatched but were unable to find the flying boat. In 1943, US President Franklin D. Roosevelt likewise crossed the Atlantic in a 314 as he met Churchill at the Casablanca conference.